This beautiful white cotton batiste dress is made by Monelli, a leading manufacturer of classic children's clothing. 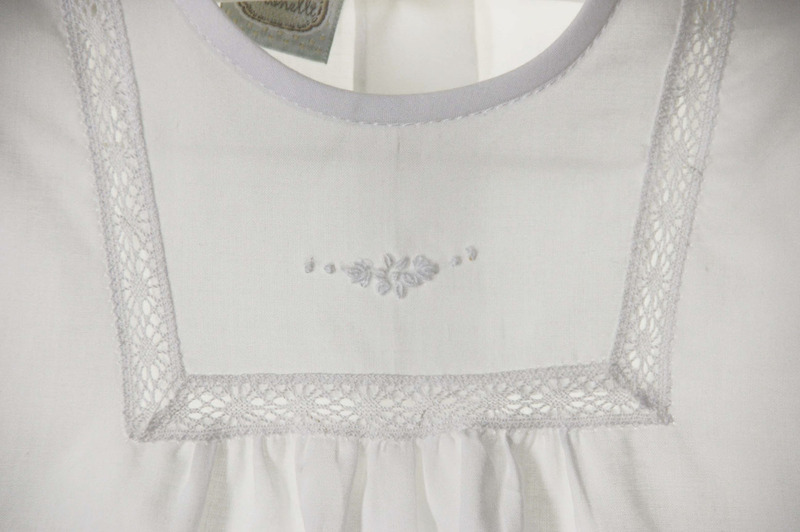 Perfect for portraits, christening, baptism, or dedication, the dress has lace insertion and floral embroidery on the bodice. 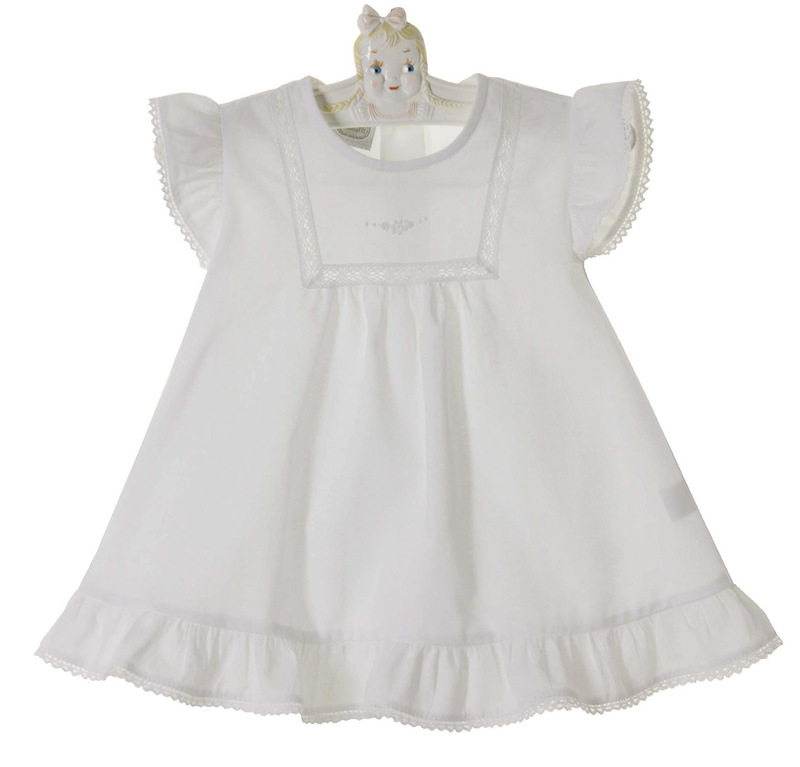 The angel sleeves and ruffled hem are edged with soft cotton lace. 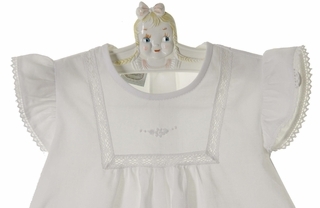 A back buttoned closure completes this sweet dress.